if only you keep your heart open for them. Nestled within Spring Hill Square, the Teashop on the Corner, provides a sanctuary away from the hustle and bustle of everyday life. Leni, the shop owner, with her book loving quirky ways, homemade cakes, caffeine on tap and bizarre book themed merchandise, greets her three troublesome customers (how she made a profit, we’ll never know) everyday with a smile. There’s Molly, (who sounded more like ninety-five than her sixty years young) whose estranged ex-husband reappears out of the blue. Businessman-gone-bust Will and Carla, a recently widowed thirty-something, (but more like fifty-odd) who discovers her late husband was still married to his first wife. All of who are in a bit of a tizz, but find comfort and friendship in the form of strangers over a large slice of oddly named chocolate cake. A gluten free spread made with love by my lovely Mum! Personally I struggled to get into this book and found it hard to sink my teeth into it, but others enjoyed it. With it’s easy breezy writing style, moments of humour and some lovable characters, it did make for a refreshing change from some of the deeper stories we’ve been reading lately. The majority of the group agreed that the author was perhaps trying a little too hard to combine a range of characters with various backgrounds, which resulted in an overload of issues and topics which were touched on but never fully examined throughout the book. Issues such as child abuse, the care system, neglect and domestic violence were all touched on, but were never elaborated enough to make it seem worth mentioning them at all. A little predictable and sometimes unbelievable, but nonetheless a light-hearted read which will leave you drooling for cakes and sipping four hundred cups of tea whilst you read it. The moral of the story…however bad life can get- a good cup of tea and a chat with friends always halves your problems. 1. Were you engaged in the novel immediately, or did it take you a while to ‘get into it?’ How did you feel reading it- amused, sad, disturbed, confused, bored…? 2. Do you admire any of the characters? If so, why? 3. The traditional family unit doesn’t exist in the book, with two of the characters having been through the ‘care system’, what is the author trying to say about society’s view of family? 4. Did the actions of the characters seem plausible to you? The main characters all end up opening up to relative strangers. Why is it that they can confide in each other so easily but not those close to them? 5. How important are Mr Bingley and Lucky in the text? 6. The story is told from several alternating viewpoints, did the changes in perspective ever get confusing? Was there one story you felt you wanted to know more of? 7. How realistic was the characterisation? Would you want to meet any of the characters? Did you like them? 8. 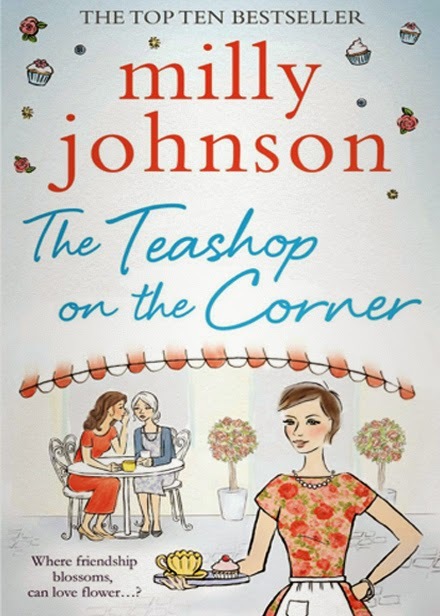 The teashop is on the corner and the characters that congregate there are all at a crossroads in their life, what is it that ultimately brings them together? 9. “Life is full of second chances…if only you keep your heart open for them.” Were all the characters in the novel seeking a second chance? 10. Is the ending satisfying? If so, why? If not, why not…and how would you change it? Our next Book Club read will be The Dead Wife’s Handbook by Hannah Beckerman which will be reviewed in October. Have you read our latest book? What were your thoughts- let me know in the comments below! 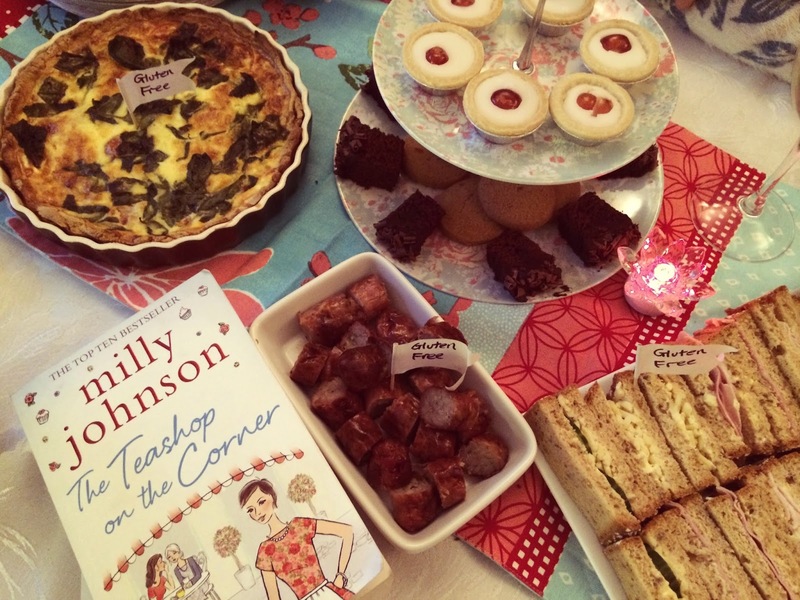 Next Post Happy Blog 1st Birthday…Plus a DotComGiftShop Giveaway!